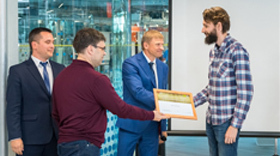 Open competition at Skolkovo Technopark was aimed to find the best smart technology solution for monitoring manual operations by an assembly plant worker. Best technical solution nomination was won by the team of developers Motiv, which designed a system for monitoring adherence to regulations and for ensuring that all technological processes are being carried out properly, as well as monitoring that correct clothing is being worn and safety standards are being met. On April 2, the final of two case-Championships Changellenge >> Cup IT and Changellenge >> Cup Technical was held in the Digital October space. 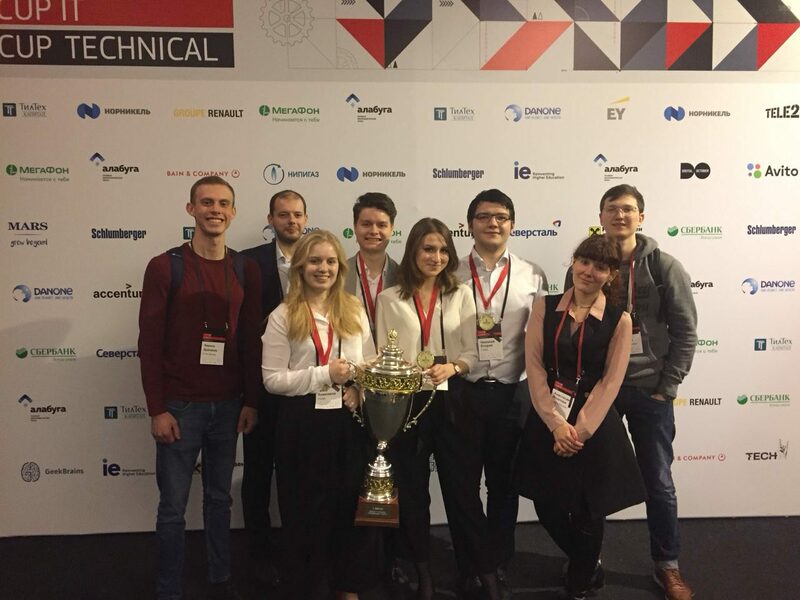 The strongest teams from the top Russian universities during the week solved real problems from the practice of large companies and presented their solutions in the final stage. The finalists of Changellenge > > Cup IT were selected by the results of the first round of more than 1,300 students from more than 60 universities. More than 1800 people from more than 100 universities took part in the Changellenge >> Cup Technical online tour. Changellenge > > Cup IT participants defended the title of the best team in two sections: Data Science and IT Analytics. The guys from the first section decided case from the company Teltech Capital. The teams developed an investment project in the form of an educational online platform. The participants of the analytical section used artificial intelligence to predict changes in Deposit rates for Sberbank. On Changellenge > > Cup Technical teams solved cases from Schlumberger and Danone. The participants of the oil and gas section offered ideas for digitalization of fields while the participants of the engineering section introduced innovative technologies in the process of modernization of the Danone plant. According to the regulations, the performance of each team lasted 10 minutes, 15 minutes were given to answer questions. The solution of each case was evaluated by expert judges on important criteria: compliance with the task, breadth of analysis, depth of analysis, structure and logic, quality of presentation, teamwork and answers to questions. The winners, prize winners and finalists received diplomas, valuable prizes, and career bonuses from the championship partners, which will allow them to continue their cooperation with attractive employers. Changellenge > > — educational platform and leading Agency for work with employer’s brand. Since 2007, the company has been organizing case-Championships, competitions, development programs and other events that allow to establish a link between University education and business. At the moment, more than 50 thousand people annually participate in Changellenge >> projects. More than 75% of the best employers of Russia and the world are among the partner companies of the projects, including banks, FMCG companies, large consulting companies, industrial companies, IT-corporations. Solve a case on Data Science or IT Analytics, prove that you are ready to work at the intersection of technology and business, and become the inter-industry specialist, who will be hunted by the best employers in the country. Just like in life: the client is demanding, burning deadlines, the need to quickly analyze the needs of the business and offer an advanced solution. There are enough specialists in it technologies, employers are looking for those who can evaluate their practical application. On Changellenge > > Cup you will learn how to manage your it project. We have already touched upon the issue of the lack of qualified specialists in hard-to-reach places. Today we will talk about this again. Often, it is not so easy to get advice from a doctor of a narrow specialty in the United States and even many European countries. And the patient has to wait weeks and months for contact with the doctor. Electronic technology allows you to contact the doctor at a distance. The platform developed by RubiconMD enables primary care physicians to interact directly with specialized specialists. We have already talked about the problem of shortage of specialists and difficulties in access to them on the example of the Alemhealth system, which helps to obtain a qualified assessment of research at a distance. This system was created to help developing countries, but in developed countries such as the United States the lack of specialists in rural areas is felt very keenly. In addition, from the moment of need for consultation to the doctor’s appointment can take from several weeks to several months. To speed up access to specialist care is designed eConsult platform developed by RubiconMD. This platform connects the patient with a specialist using primary care physicians (family doctors or General practitioners). 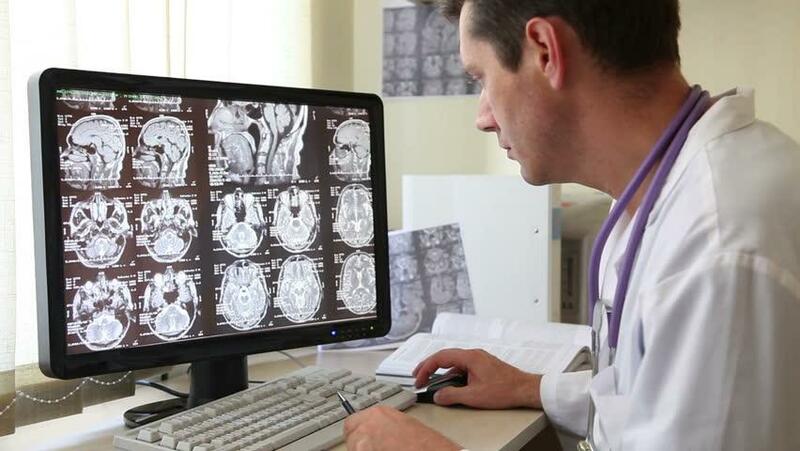 These doctors perform primary diagnostics and collect the results of all necessary examinations. After that, this data is transmitted to the specialist through the eConsult platform, which is integrated into the electronic document management system (EHR). These medical records are analyzed by one of the doctors of 115 specialties and sub-specialties, on their basis an expert opinion is given. With this technology, the conclusion of a narrow specialist can be obtained within a few hours (usually up to 12). This approach not only accelerates the receipt of qualified care for the patient, but also reduces the cost of consultation. Continuous medical support is what many patients want. This desire is especially important for patients who are forced to stay outside the hospital for the treatment of severe chronic or acute disease. Landmark is one of the providers of remote patient care services. The company supports patients with the help of doctors, nurses, pharmacists, nutritionists, social workers and psychologists. The availability of health care even today remains one of the important and unresolved health problems. In addition to the economic component, for many patients it is physically difficult to get to the hospital or rehabilitation center. This task can be solved in several ways: to establish a system of delivery of the patient from home to a medical institution, to set up a system of telemedicine support or bring a doctor to the patient’s home. 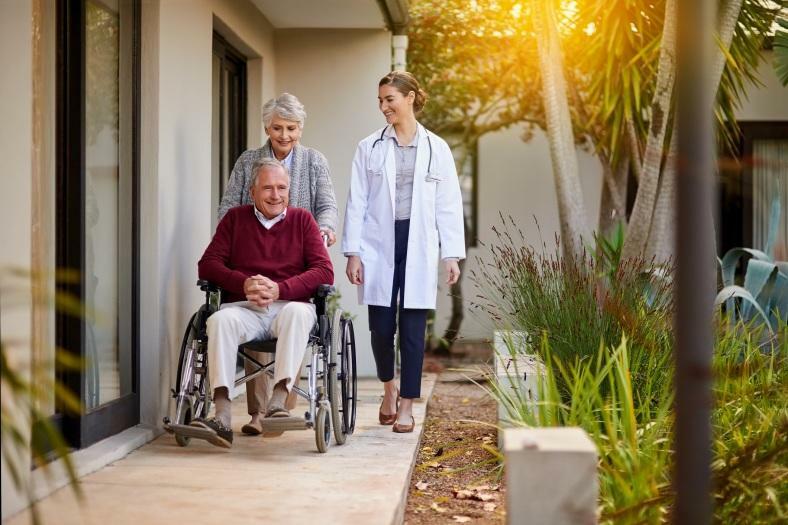 The first two options are not always applicable, since many patients, especially the elderly and those suffering from many chronic diseases, are difficult to move even in their own homes, and their delivery to the clinic requires special transport and a whole support service. Telemedicine can also be difficult for old people and patients with impaired analyzer and speech functions. Thus, in some cases, a doctor’s visit to a convenient place for the patient becomes the only possible option. Landmark has become one of the providers of home care services. At the initial treatment of the patient, an employee comes to the home reception, who introduces him to the system and services, registers the patient in the system and collects the necessary data on diseases, their treatment, visits to clinics and family members. Such a visit usually lasts about an hour, after which the goals and schedule of visits are determined. Thus, the Landmark system helps to ensure continuity of control, improve the effectiveness of treatment, and help the patient feel better. Patients have access to care 7 days a week, 365 days a year, including, if necessary, emergency visits. Asthma and chronic obstructive pulmonary disease (COPD) are the most common diseases of the respiratory system, the incidence of which continues to grow. Asthma and COPD are associated with a significant reduction in the quality of life of patients, and COPD is projected to reach the third position in the number of deaths in the world by 2020, after infectious and cardiovascular diseases. In this regard, there is an active work on the creation of solutions that help in the management of asthma and chronic obstructive pulmonary disease. One of these developers is the company Propeller health. The solution has two components-a sensor and a mobile application that help to improve the quality of life of patients. Asthma and chronic obstructive pulmonary disease (COPD) are the most common respiratory diseases and, unfortunately, their incidence continues to grow. Mortality from asthma is low, but it is associated with a significant reduction in the quality of life of patients. COPD, in addition to reducing the quality of life, is one of the leading causes of mortality. By 2020, it is projected to be the third-highest number of deaths in the world after infectious and cardiovascular diseases. For these reasons, the world is actively developing ways to prevent and reduce the severity of symptoms and reduce the frequency of exacerbations of asthma and COPD. We have already talked about the device Aerobit, which helps in the management of asthma, today we will focus on the products of Propeller health, which also covered chronic obstructive pulmonary disease. Propeller health solution consists of two components – a sensor and a mobile application. Propeller mobile application allows you to coordinate therapy with the attending physician, thereby reducing the number of missed appointments, and thus reducing symptoms, and reducing the likelihood of exacerbations and attacks. The second component of the system is miniature sensors that are attached to the patient’s inhaler. These devices collect and transmit information about where and under what conditions the patient needs to use the drug. These data are analyzed and help the patient and his doctor to understand what the symptoms are associated with, and develop tactics to prevent them. This approach gives patients the opportunity to lead an active lifestyle, despite the disease. 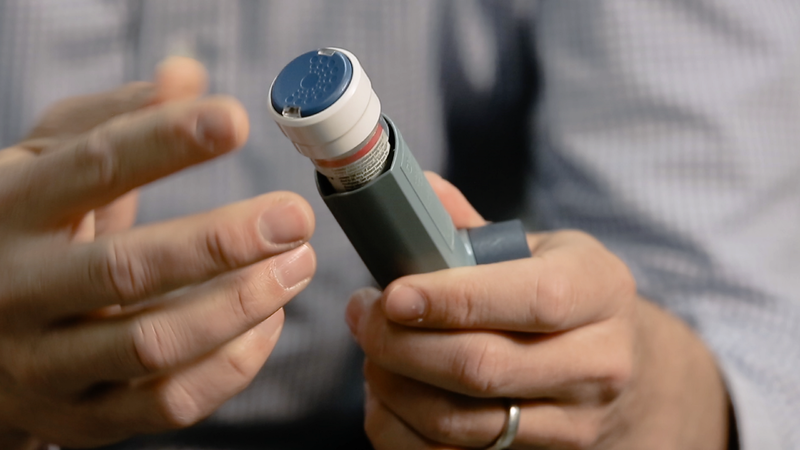 With sensors and a mobile app, Propeller helps reduce the cost of care while providing a better quality of life for people with chronic respiratory diseases – asthma and COPD.